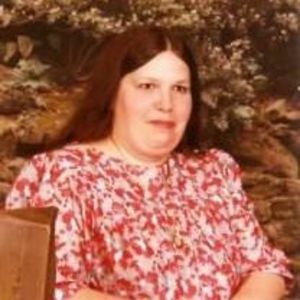 Betty Vale Holland, 66, of Kenly, passed away Sunday. At Betty’s request, no funeral services will be held. Surviving are her daughter, Brenda S. Bailey of Wilson; one son, Robert P. Bailey and Laura of Wilson; five grandchildren, JoAnn, Kristen, Ashley, Anthony and Linda; a sister, Marilyn McKenney of Maine; and a brother, Jordan Baines and wife, Noemi, of Florida. She was preceded in death by an infant son, William Bailey; husband, James Holland; parents, J.B. and Arlene Lockwood Baines; and a brother, Gary Wayne Baines. Memorials in Betty’s name may be directed to the American Diabetes Association, 2418 Blue Ridge Rd., Raleigh, NC 27607 and the American Heart Association, 3219 Landmark St., Greenville, NC 27834. Arrangements are under the direction of Thomas-Yelverton Funeral Home, Wilson, NC. Online condolences may be sent to www.thomasyelverton.com.